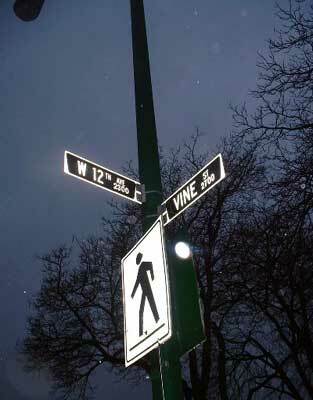 and also some at 18th and Vine, but 12th and Vine was the main area. and that used to be the big area for jazz in Kansas City. Avenue which was designated a National Historic Landmark in 1982. Piney Brown being "last saw" (sic) on Eighteenth and Vine. Kansas City's reputation as a music mecca "
juxtaposed and flowing throughout High Water (For Charly Patton).